How to Prepare for the New School Year - Embroidery For You! 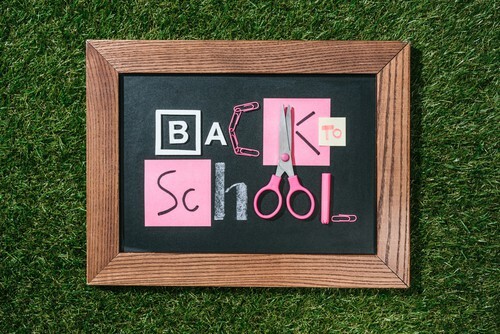 Whether you are sending your little one to their first day of Kindergarten or your eldest child to college or university, it can be overwhelming preparing your kids and yourself for the coming weeks. If you haven’t already, now is the time to start shopping for the list of supplies to transition back into the classroom. While your kids may want all the latest back-to-school gear, Embroidery For You STL has some great, affordable alternatives that will make you the cool parent of the year. Plus, with the money you save, we have some great ideas for treating yourself as well! Looking for something creative and unique? Have your child’s initials, school logo, graduation year, or school initials embroidered on new items you purchase OR we are happy to source the items for you. 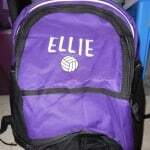 Monogramming or personalizing scarves, jackets, hats, and back packs to add some flare with a beautifully-crafted. Or get in the school spirit by adding a logo or design that represents a school activity your child is involved in, whether band or color-guard, football or volleyball, math or debate team, or anything in-between. Don’t want to pay the price for specially designed backpacks, pencil cases, and beyond? The options are endless for personalizing duffle bags for college or carrying clothes and equipment for after-school sports or tote bags for books and school accessories. Make custom embroidered items and personalized school supplies to fit your child’s needs and your family’s budget. However, we do need to be conscience of copyright infringement on some collegiate logos. Call Embroidery For You STL at (314) 956-1963 to request a free quote or learn more about how you can fashion your student’s clothing and school materials. Every parent knows the feeling. While you purchase new clothes, school supplies, and accessories for your beloved child or children, you also have that desire to have something new for yourself. As parents, we work hard to ensure our children have everything they need, so why not treat yourself to something as well. With Embroidery For You STL, adding a nice gift to the list for yourself couldn’t be simpler. Add a beautifully monogrammed item to your order to customize your “team mom” own apparel, tote, or duffle bag. Plus, don’t forget about our selection of Home Décor options: from aprons for the seasoned chef or mom of four, embroidered napkins for those special occasions or holiday family gatherings, or a new set of bath and kitchen towels that are custom monogrammed to fit your household’s unique panache. Don’t forget the bedroom with our beautifully monogrammed pillow covers that can fit your style, never sacrificing color or the quality of design to fit your needs. Embroidery For You STL offers a wide range of embroidery services, to include heat press transfers, monogramming and embroidery, and screen printing. We are happy to digitize your specific logo or a favorite design for embroidery or create vector artwork for screen-printing to get the quality design, color, and complexity you are searching for. Also ask about our Gift Certificates that are the perfect addition to any college student’s back-to-school survival package. Allowing them to create some unique and inspiring new apparel for their first semester or supporting their Sorority or Fraternity with designs or logos added to their wardrobe. Want to learn more about Embroidery For You STL’s unique design services for decorating apparel, graduation items, hobby and sports gifts, and other products? Schedule your appointment today or visit us on Facebook to stay up-to-date on our latest products and happenings in the Saint Louis area.